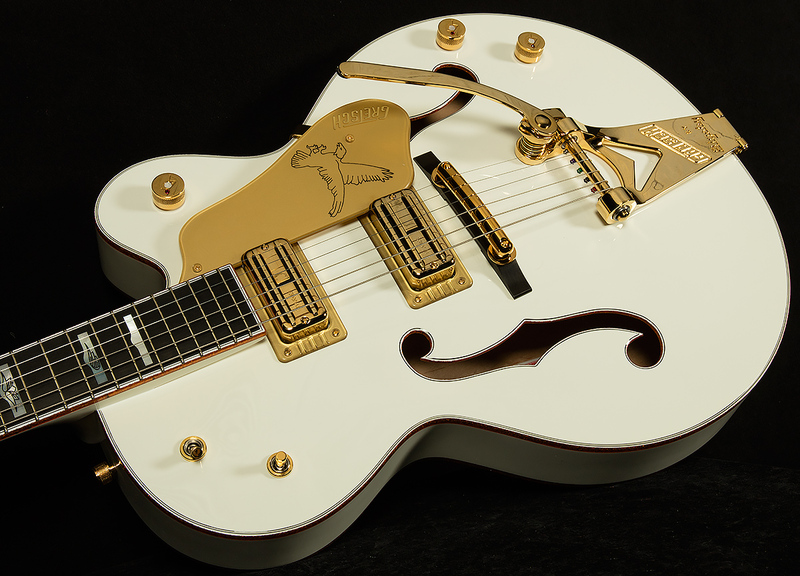 The Gretsch Falcon began was supposed to be nothing more than a marketing stunt. It was a larger-than-life prototype meant to represent the loftiest ideals of lutherie, much like the one-off show cars that the Big Three automakers would send to automotive trade shows with huge fins and ridiculous, over-the-top opulent design. 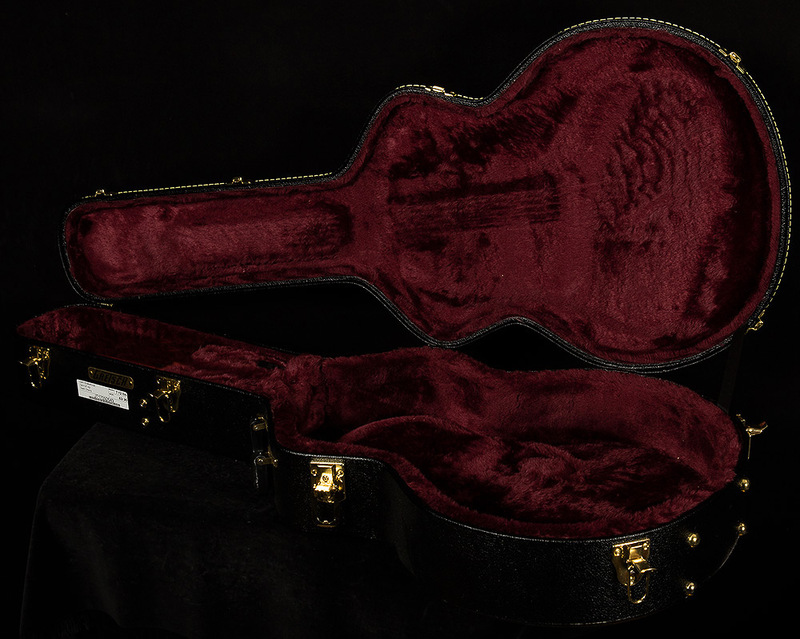 However, the Falcon generated so much interest when they debuted it at the 1954 NAMM show that they had no choice but to turn their one-off guitar into a production model. It was a huge, luxurious guitar with a larger-than-life personality; in other words, it was the Cadillac of hollowbodies. Well, if a normal Falcon is the guitar equivalent of a blinged-out Coupe De Ville, our Wildwood Exclusive Falcon Juniors are like Corvettes: sleek, hot-rodded little numbers that carry the pedigree and tradition of the Falcon name with a few high-performance tweaks that give discerning modern players the feel and sound they crave. Let’s take a closer look and see why these jammin’ Juniors get the Wildwood staff so revved up! As you can see, our Falcon Juniors are about five to ten percent smaller than a normal Falcon in most key areas. This means that they have slightly more focused, defined tonal character as opposed to the broader sound of the Falcon, but the main effect has to do with ergonomics. 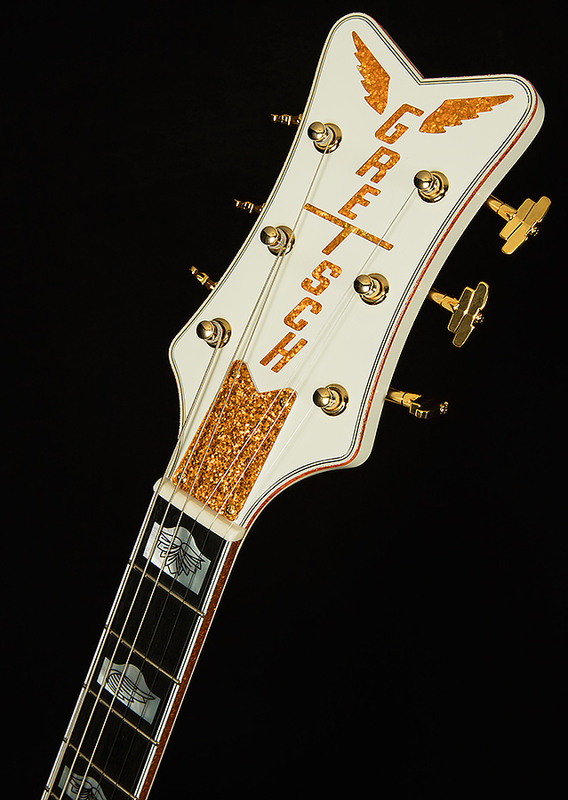 Gretsch Falcons really are the Cadillacs of hollowbodies, and, like their vehicular counterparts, Falcons are really big! Our Falcon Juniors still have a big personality, but because they come in a smaller package, they are a little easier on the back, arms, and shoulders. 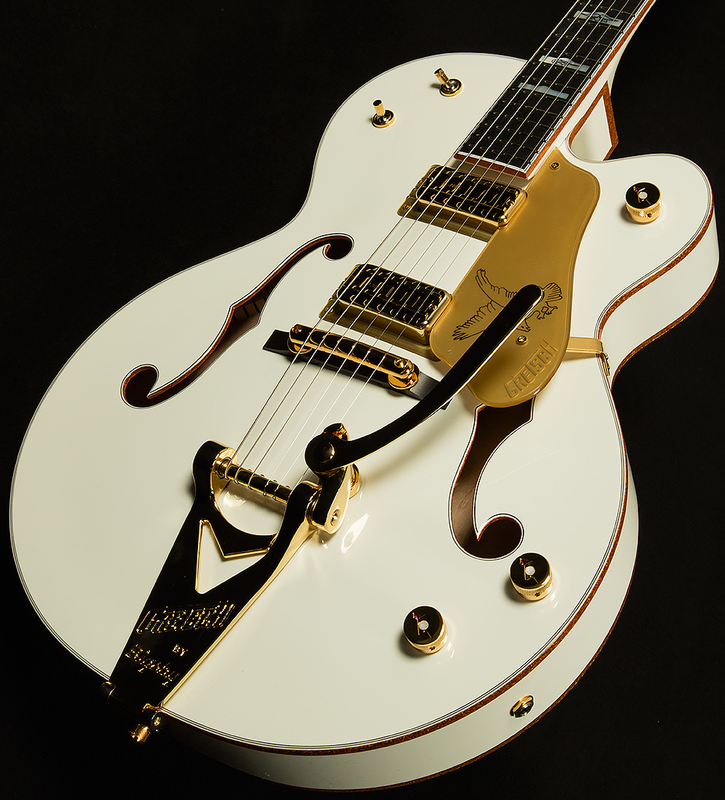 As a result, we believe they deliver an incredible playing experience without sacrificing the rich sound Gretsches are known for. Speaking of awesome sounds, that brings us to the next most important feature of our Falcon Juniors: their killer TV Jones Super’Tron pickups. The fine people at TV Jones have done a bang-up job of replicating the classic sound of the original 1960s Super’Trons, and we think they give these Falcon Juniors a whole ‘nother flavor of killer Gretsch tone. They use steel blades instead of poles, so they have extra inductance, which translates to fuller, punchier tone across the whole harmonic spectrum. It’s also a little bit easier to get Super’Trons to break up, as they are tremendously touch-sensitive. When you pick hard while playing into an amp set near the edge of its headroom, you are rewarded with the sort of glorious crunch, jangle and growl that rock and roll dreams are made of, yet the sound remains clear and articulate. By contrast, when you ease off with your right hand you get all the quack, blooming high overtones, and low-end warmth you’ll ever need! This stunning touch-sensitivity makes for an incredibly dynamic, expressive playing experience. This combination of dynamism and fullness is a big part of why fingerpickers like Chet Atkins loved the original Super’Trons. However, their magic lies in their ability to appeal to everyone, regardless of style or taste. For instance, we have one staff member who primarily plays acoustic fingerstyle jazz. I, on the other hand, tend to play aggressive, punk-inflected indie music that borrows heavily from country and folk (translation: I play alt-country, poorly). Despite our stylistic differences, both of us LOVE the sound of Falcon Juniors. While their rich sound and touch-sensitivity will make finger-pickers yearn to run through “Orange Blossom Special,” their capacity for grit and nastiness makes me want to play “Search and Destroy” by The Stooges or some fuzzy Neil Young riffs from one of his records with Crazy Horse. In fact, just about every member of the Wildwood staff digs the sound of these guitars for a different reason! That’s what makes them so cool: they seem to inspire everyone who plays them in a different way! So, we are proud to present the Wildwood Exclusive Falcon Junior to our exceptional customers. We know that they will make your muse work overtime, and we are excited to see how they push you to reach new heights of creativity and expressiveness on your musical journey.